Constitution amendment condition to join government: FSFN, RJP leaders - Integration Through Media ....! KATHMANDU: Leaders of the Madhes-based Federal Socialist Forum Nepal (FSFN) and Rastriya Janata Party (RJP) said they would not join the left coalition government until the constitution was amended. Stressing the need for amending the constitution, incorporating aspirations of Madhesi people, they asserted that participation in the government was their second priority in the present context. They were speaking at a face-to-face programme in the capital city Friday. In another context, FSFN General Secretary Ram Sahaya Yadav said initiative would be taken to name Province 2 a ‘Madhes Province’. 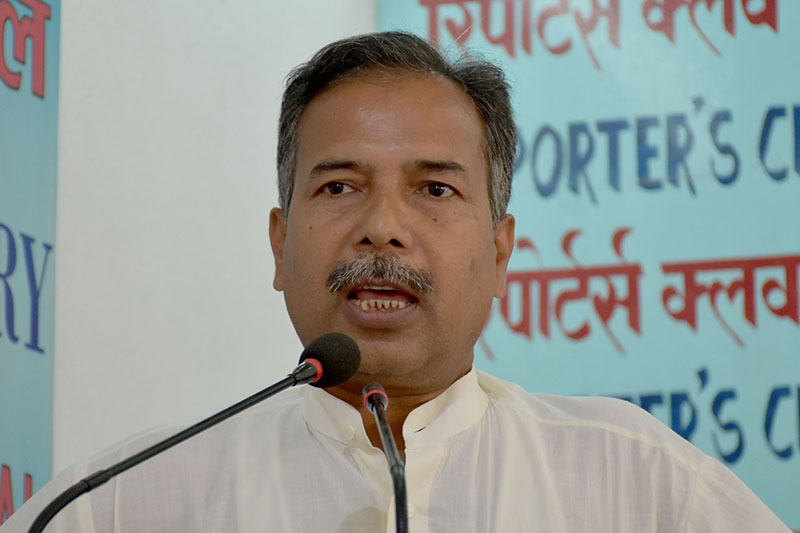 RJP leader Manish Suman accused the left alliance of ignoring the party for the talks with the FSFN to bring it onboard. CPN (UML) leader Rabindra Adhikari said efforts were on to take the FSFN and the RJP to the government. CPN (Maoist Centre) leader Dina Nath Sharma urged the Madhes-centric parties to join the government.